I was busy with my booth at the Christmas market saturday, when reveal day was, so my post is a bit late! But here are the pages I shared for the December gallery! 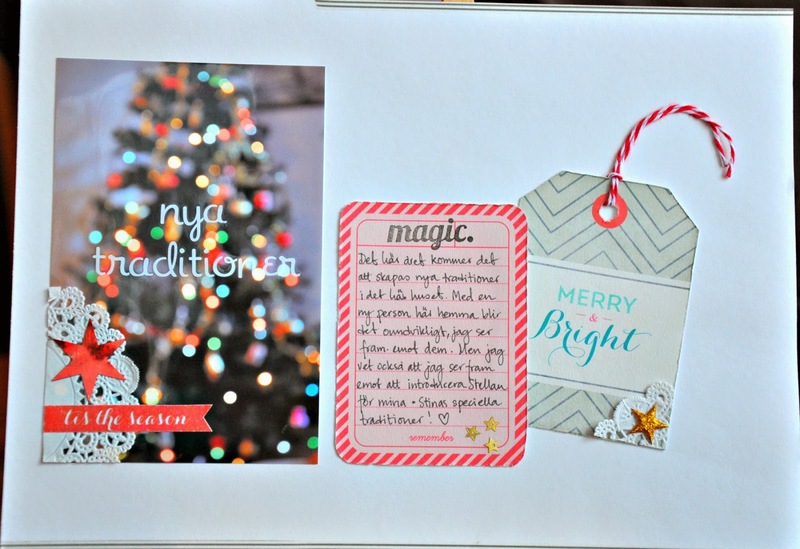 The theme is Traditions and don´t we all have them this time of year. I made this layout about my expectations of the new traditions a new relationship brings. I wanted to use a non-specific photo so I used one from last year where I played with the bokeh effect. I love using products made for pocket scrapbooking on my regular layouts as well. 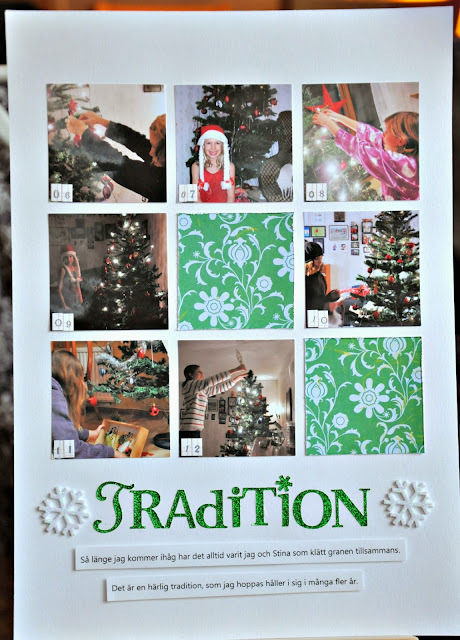 The text for this layout seems to be missing on the WCS blog, but clearly it is about one of my favorite traditions of my daughter and me decorating the tree for so many years now! These are just the recent photos that I had available in my computer :) I love this and I am hoping that we keep doing this for many more years! Go check out the rest of the gallery! And I would love to hear/see your favorite traditions!